Dinner time is a great way to let time stand still for a bit and really connect with your family. Yes… that means no phones at the table. I know we are all at different stages in life. Some of us are cutting dinner into bite size pieces for our little ones and others are parents of teenagers with crazy schedules, or are empty nesters and may be sharing a meal with friends. How do we make dinnertime special and fun? It is easy to get lost in the repetition of life and not take advantage of these special everyday moments. BTW – Did you know that most of our fondest memories are centered around the home? It can be tweaked for most age groups and would be a good way to add some fun and socializing to our dinner tables. Simply tape or use a Post It Note to place comment securely on the bottom of each plate and that is the comment they have to incorporate into dinnertime talk. Keep the notes private. If no one catches it 5 pts. Then for every other comment you catch you win 1pt. 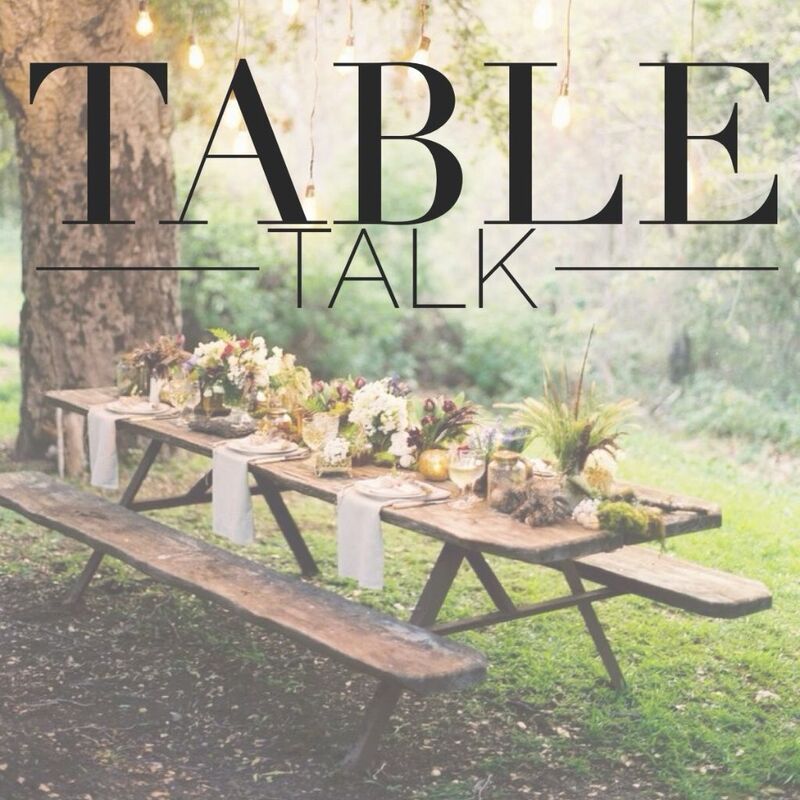 The winner of the Table Talk conversation takes home a treat or a round of applause or a family song, sung in their behalf, etc… you get the idea. Fun! Fun! Meal time may never be the same! This entry was posted in Family, FHE, Primary and tagged Brenda, dinnertime, family, family games, FHE, Games on April 27, 2016 by Melanie Day.